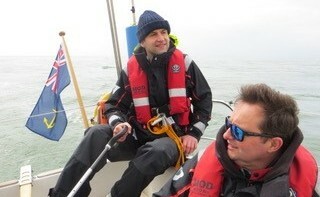 HMS WILDFIRE typically runs 2 sailing expeditions (SAILEXs) per year in April and October to fit around the unit’s busy summer training programme. 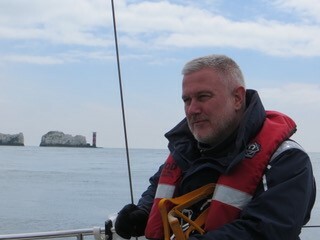 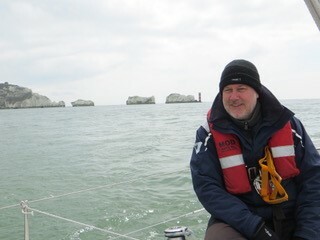 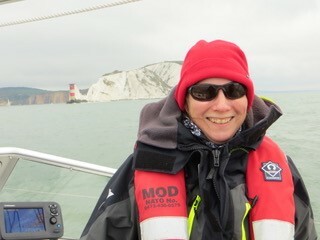 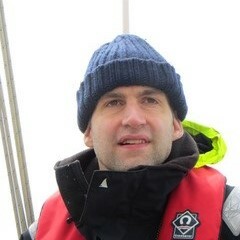 The first of these this year was a long weekend in the Solent from 26 – 29 April. 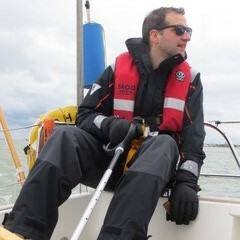 A Halberg Rassey 342, SKUA, was used from Joint Services Adventurous Sail Training Centre (JSASTC), Gosport. 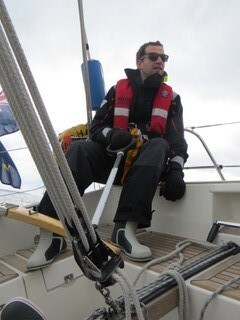 This excellent yacht was well equipped and providing a good training platform for the 5 members of HMS WILDFIRE. 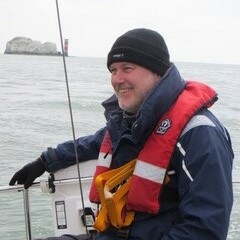 Experience on the yacht ranged from a Yachtmaster Offshore through to novice. 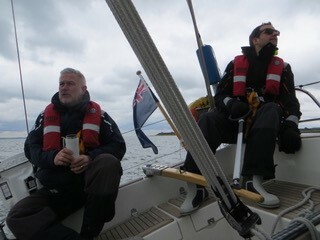 The crew joined the yacht on the Thursday evening. 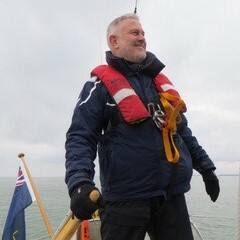 The evening was spent preparing for sail: buying rations; attending a safety brief; having a meal; stowing gear; checking the yacht; and passage planning. 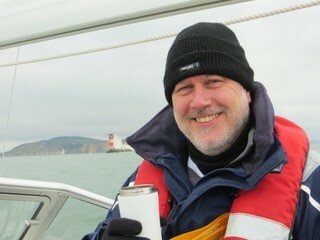 The weather on Friday was a light southerly wind with the prospect of heavy rain in the afternoon. 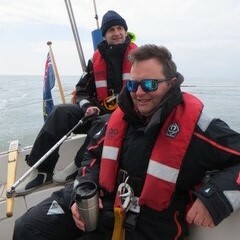 In order to maximise training value, an early exit was made from Gosport in the morning with a sail towards Cowes. 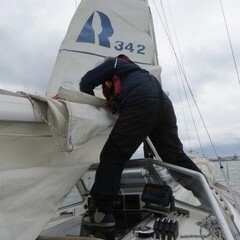 This was the first time for most of the crew aboard the HR342 and so the morning was spent undertaking drills such as reefing to familiarise everyone with the workings of the yacht. 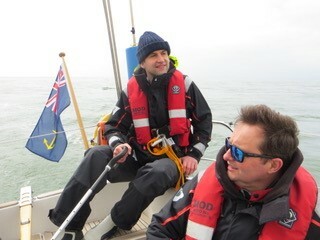 The afternoon was passed back alongside in heavy rain with instruction on rule of the road, chart-work and calculating heights of tide. 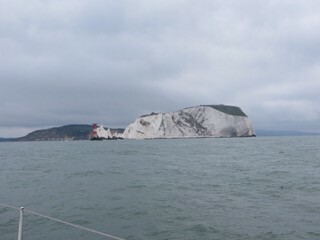 This was all used in planning for the next day. 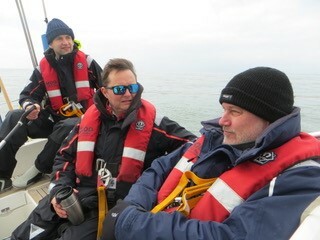 Back at JSASTC, the crew set about the business of ensuring that everything was cleaned, stowed and left ready for the next crew. 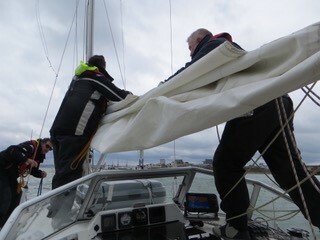 JSASTC maintains its yachts to a high standard and sets exacting requirements on how they should be returned. 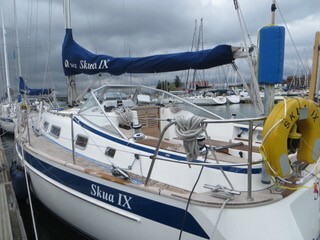 After 2 hours of scrubbing, polishing, packing and tidying up, the yacht was ready to hand back.